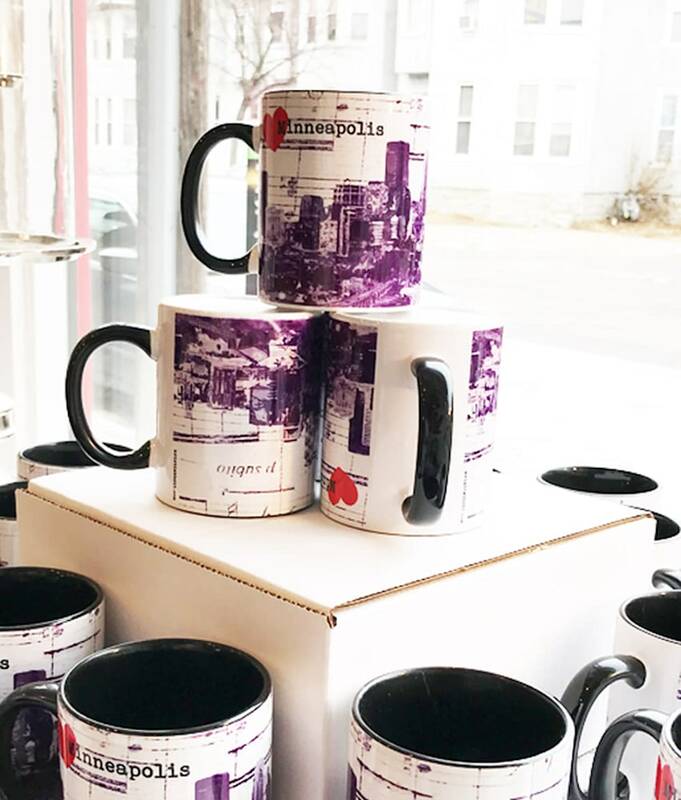 Enjoy a steaming cup of your favorite beverage in this uniquely Minneapolis coffee mug. The design incorporates two of Kristi's most popular artworks, her Minneapolis Skyline (here in shades of purple), and the background of the Schmidt Building music mural used in her I Am Music piece. The inside of the mug is black, hiding any coffee stains that accumulate over time and setting off the colors of the imagery on the outside. Available for 'pick-up from stdio' only at this time.